Can you see what the judges see? Do you find it hard to check your horse’s footwork? Are you finding it difficult to monitor your own posture or that of your horse? Do you want to see and correct in real time, instead of playing back video performances? 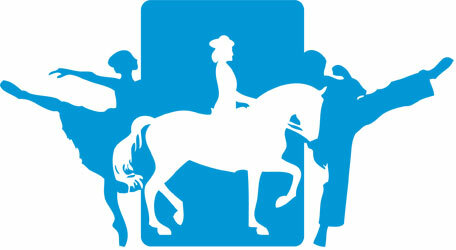 Monitoring your posture and that of your horse is paramount to an Equestrian rider. Arena Mirrors allow you to self correct without someone assisting. Using a Dressage mirror will allow you to monitor your posture as well as that of your horse, it also allows you to check and adjust in real time. Please see Exercises for some ideas. 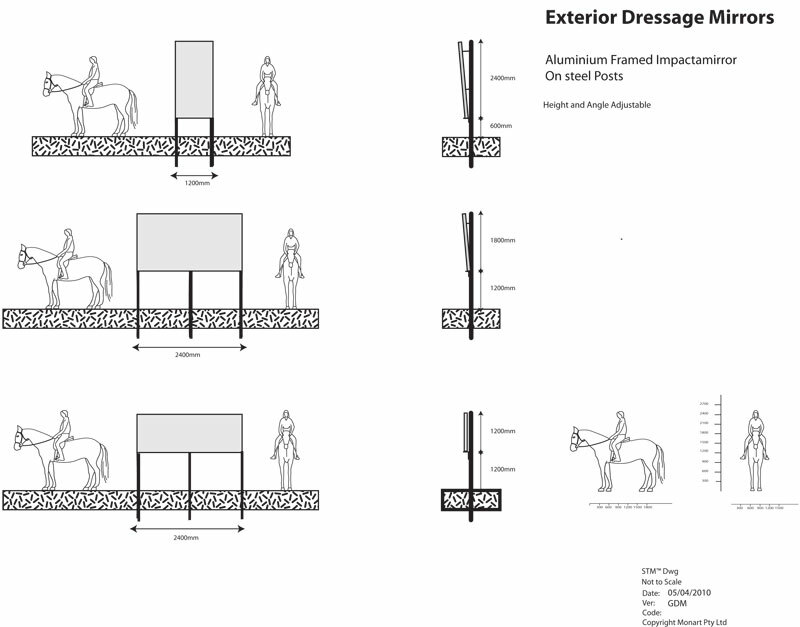 If you wish to improve your level of excellence beyond that of your competitors, earn higher points for accuracy and practice more often when it suits you, an Equestrian mirror placed in your arena is the answer. If you compete in Dressage or simply want to hone your performance then an especially designed Arena mirror is the ultimate training aid. Our premium quality Glass mirror sheets are specifically modified with a vinyl backing and made into a sandwich of fire retarded Impactamirror™ cushion backed by a UV resistant Nycel panel are the key materials of our Arena mirrors. These are then secured in a clear anodised aluminium frame and connected in the centre with our proprietry joining system to prevent bellying and sealed to protect from the elements. Built into this is a choice of fixing systems to complement traditional post and rail fences, or dedicated steel posts. These mirrors can be a single unit or runs of mirrors linked together and reinforced accordingly. We can provide a supply and fix solution or can provide you with clear DIY instructions. Safety – Designed with horse and rider safety as the highest priority, the vinyl backing means that in the event the mirror should be damaged it ensures the dangerous shards are held in place. These mirrors are built to an A grade standard in accordance with Australian Standards AS/NZS 1170 and AS1288-2006 as required for compliance with the BCA and OH&S. Shatter Resistant – Impactamirror™ cushioning acts as a shock absorber and limits the likelihood of damage should the mirrors be struck by hail, birds, tree branches or other projectiles. Weatherproof – Our arena mirrors are silicone and rubber sealed and specifically designed for both interior and exterior application. Cut edges are coated with mirror edge sealer to prevent “black edge”. Minimum distortion – With adjustment built in both horizontally and vertically. The system is designed to be angled to suit you and your horse but more importantly can be “tuned” to reduce deflection distortion. Ease of Installation – With a choice of fixing methods our Mirrors can typically be installed in one day once posts are in place. Guaranteed – Our Mirrors are guaranteed against manufacturer defects. Interior or Exterior – May be installed inside or outside either freestanding or fixed to existing structures. Please note – the mirrors in this video are not our mirrors. The alignment of the mirrors and subsequent image distortion is not up to our standard. You can answer the question what is a dissertation with our guideline if it is https://essaydragon.com/ part of your essay.